The idea for creation of the True-Life Stories About the War project belongs to the well-known Moscow priest protopope Gleb Kaleda. 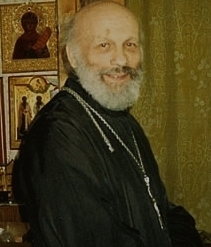 Kaleda, Gleb Aleksandrovich (1921–1994) was a priest of the Russian Orthodox Church, protopope, Christian writer, Doctor of Doctor of Geological and Mineralogical Sciences, professor. At the beginning (summer 1941) of the Great Patriotic War he was drafted into the Red Army. Starting from December 1941 he was part of the combat troops. As a radio operator of a Katyusha multiple rocket battery he participated in Volkhov, Stalingrad and Kursk battles, in combat operations in Belorussia and near Koenigsberg. He was awarded with Order of Wartime Red Banner and Order of Patriotic War. His memories were among the first published on the website. The purpose of the project: unbiased coverage of heroic and tragic events of the World War II (1939–1945) and the Great Patriotic War (1941–1945). The main goal of the project: an attempt at forming an objective, fact-based view of the Great Patriotic War. Also, one of the goals is giving information about the activity of the Russian Orthodox Church in the wartime. Nowadays there are several conceptions of the War, based not on facts but on ideological presuppositions. For example, in Soviet history the War was won by the socialist system. The Western history ascribes the success of the victory over Nazi Germany to the West, belittling the role of the Soviet people. Numerous historical memoirs published in recent years have the same shortcoming, as they underwent ideological adaptation and editorial revision. Now that ideological pluralism has been accepted in our country and one particular ideology is no longer established by the state or obligatory, we are able topublish true-life stories about the War — stories told by direct participants of the events. The web portal www.world-war.ru is an electronic periodical in Russian, German and English. It is an archive of audio, video and text files, and also of rare photographs (including photos from family albums) of the wartime. Media-Outlet Registration Certificate El No. FS 77- 45540 of 23 June 2011. Distinguishing characteristic of the project: availability of translated materials — memories of the War participants from other countries: Germans, British, Americans, Italians, Greek and others. The True-Life Stories About the War project has existed since March 2005. Having no financing, it is developed by efforts of enthusiasts. dean of All-Merciful Saviour Temple (former Mourner Monastery). Member of the Union of Writers of Russia, Chair of the editorial board of the Orthodoxy and the World web portal (www.pravmir.ru). Education: Moscow Aviation Institute: Department of Air Vehicle Engines. Orthodox Saint Tikhon Theological Institute: Theological-Ministerial Department. PhD in Technical Sciences, associate professor at Moscow State University of Civil Engineering (Moscow Engineering and Construction Institute named after V.V. Kuibyshev) and Orthodox St. Tikhon Humanitarian University. Education: Apostle John the Evangelist Russian Orthodox University; Moscow State University of Construction: Geoecology and Engineering Ecology Specialized Department.